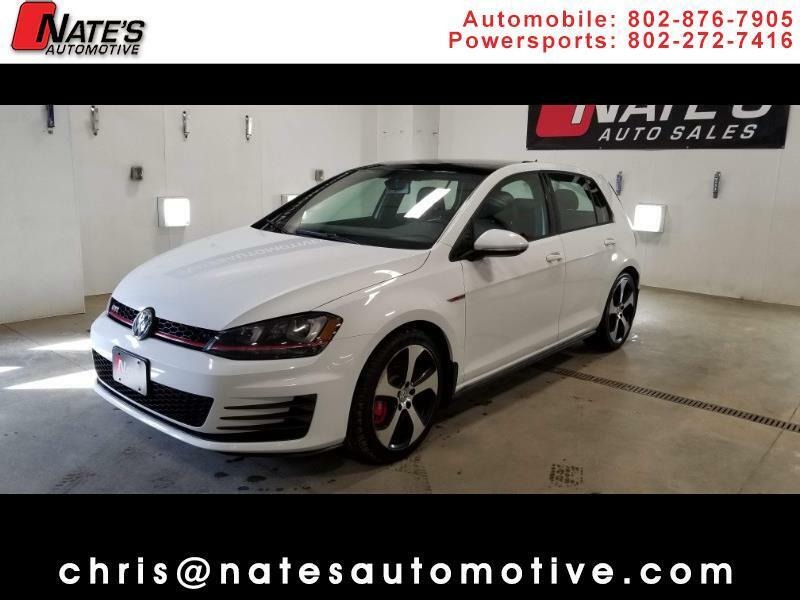 Nate's Auto is selling a super clean 2016 Volkswagen GTI hatchback, 6 speed manual. This car is in excellent condition with only 54k miles. Front wheel drive, 2.0 turbocharged engine, Navigation, heated leather seats, back-up camera, bluetooth, steering wheel controls, moon roof, and all power options. PERFORMANCE PACKAGE TOO! Nate's Auto has fully serviced this GTI and it will come with a new Vermont State Inspection!